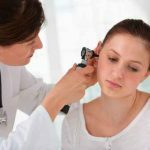 Ear health and helping with hearing loss has always been a complex and subjective procedure. Adi Gaskell looks at the services trying to make the process smarter. A fascinating trend of recent years has been the development of add-ons that work with smartphones to allow us to perform a range of medical tasks. One of the more interesting areas for innovation has been in ear care. A few years ago I wrote about a new startup, called Cupris, that provides a device to allow us to check our ears for infections in conjunction with our smartphones. They raised £500,000 last year to further develop their product. A similarly innovative service is provided by Canadian company Clearwater Clinical, whose ShoeBOX is the first clinically validated mobile audiometer device that can test for hearing loss. The company recently raised $6 million in Series A for the ShoeBOX device, which brought the total raised to nearly $10 million. The company says they will use the money to scale up the business in both Europe and North America. The process is similar to playing a game on an iPad. The user wears a set of calibrated headphones, and the screen will display a range of icons associated with each game. Whenever the user hears a tone, they drag and drop the icon into one of the buckets on screen. In a typical game, the user will be tested on 4 frequencies, with the full test taking just one minute per frequency. The results generated by the system are identical in quality to those produced by conventional equipment, with an audiogram produced at the end of each game that can be used by the medical professional that referred the user to the game to then take things to the next stage. As with many devices of this kind, the benefits are considerable. Traditional equipment can cost upwards of $25,000, so the cost savings can be substantial. Not only are comparable results achieved for considerably less money, but it also saves a substantial amount of time, with results achieved in a few minutes. What’s more, the system is designed to be interactive and fun, and therefore engaging for children in a way that standard testing isn’t. That they can perform it on a regular iPad without requiring the user to enter a sound proof chamber also renders the test significantly more flexible and user-friendly. It’s a fascinating project that is further evidence of the great strides being made to make previously cumbersome and expensive testing more accessible and flexible.